Thank you! Please check your email and confirm your free subscription to McKinney Realtor Updates! 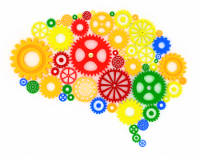 Get my Valuable insights FREE! The Keller Williams McKinney market center manages listings for homes for sale in McKinney , Frisco and throughout Collin County Texas. 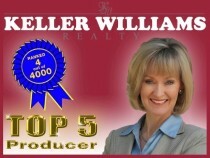 Jane has been the top producer for the McKinney real estate Market center for 5 consecutive years. QR codes-How do they help you? Or any Collin County or Mckinney real estate for that matter! Imagine a way you might instantly see a web page dedicated exclusively to the home of your dreams and you will begin to experience the value of our QR code system. QR codes are 2 dimensional barcodes, scan able by any Smart Phone that can instantly transport you to a dedicated web address. Imagine standing in front of a house for sale in McKinney , Snapping the barcode on my sign and seeing a complete video and pictorial tour of the home on your IPhone, ipad or similar android device. Soon you will see these codes on all of our printed literature. You will find them on our signs and business cards. There are a several free applications available for scanning on both the apple and android devices. (Go Here for free download).Jane Clark realty Group specializes in Houses for sale in McKinney, Texas; Houses for sale in Frisco Texas; Plano Homes, Fairview luxury homes, Allen homes for sale in and around the surrounding areas. KW McKinney RealtorJane Clark is a well-known and successful Collin County Realtor and the No 1 Keller Williams Realtor in Collin County Texas; Jane Clark Realty has been listed as the number 1 Realtor in Collin County for the past 7 years in the prestigious "D" magazine. 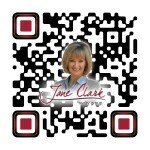 If you are looking for McKinney Real Estate , talk to KW McKinney Realtor Jane Clark,! 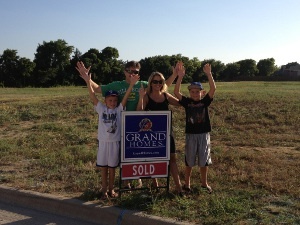 Purchasing a new home in the McKinney real estate market can be an exciting but challenging experience. If you are looking for a home for sale McKinney , Texas, the following is a quick overview by your McKinney Realtor to provide you with some general information about the southern city and some Mckinney real estate facts you may need to prepare yourself for your house hunting journey. 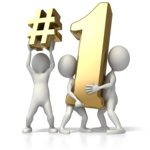 McKinney, Texas was voted one of the best five places to live in America by Money Magazine in 2010. Labeled as one of the oldest towns in north Texas, it is located about 30 miles north of Dallas in Collin County. McKinney is known for its unique and historic downtown area. The city currently has a population of a little over 136,000 and is considered to be a part of the Dallas Metropolitan Area. McKinney is home to the Collin County Community College-Central Park. The University of Dallas, as well as the University of Texas are the next closest colleges to the city. For those of you that travel, the airport closest to McKinney is Dallas/ Fort Worth International Airport. While searching for the perfect home, safety in the area in which you want to live is probably a big concern, especially if you have children or elderly parents. As far as property crime is concerned, 2.23% of the population in McKinney is affected, and 0.27% of the population in McKinney is affected by violent crime (Trulia.com). As far as McKinney real estate facts go, the average listing price for a home for sale McKinney is around $303,487, the median sales price is around $116,800, and there are about 289 foreclosures in the area (Trulia.com). If you have children that will be attending school in McKinney, the school districts are Frisco Independent School District and McKinney Independent School Disctrict which are both Pre Kindergarten through 12th grade. Be sure to check with your real estate agent about school specifics and which distirict you prefer to reside. Prior to searching for your home, get an idea of where your credit score stands. And now that you have an idea of the cost of living in McKinney, make a realistic estimate of how much you can afford. Keep in mind that upgrades or repairs can affect the cost of your dream home. Of Course, if you are seeking an Allen Home for Sale or are interested in a Plano Home the situation will be somewhat similar as Texas Is a great place to live and KW McKinney Realtor Jane Clark is happy to talk with you.! Aggressive Agent - Typically, all promotional materials for your McKinney home for sale will clearly state that your agent is the primary contact for all inquiries. Sometimes, a buyer’s agent will contact a seller directly, bypassing the seller’s agent. 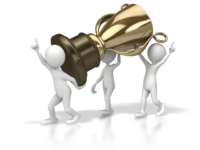 Their goal is to either win over the seller’s business or cut the seller’s agent out of your Mckinney real estate transaction entirely. This is not professional behavior and could jeopardize your successful closing. If it occurs, report it to your agent immediately. Unscrupulous Vendor - Although MLS organizations seek to enforce rules on how posted seller information is used, some companies have found ways around those rules. If you find your mailbox suddenly overflowing with junk mail, let your McKinney realtor know. He or she can contact appropriate resources to investigate. Naïve or Unqualified Buyer - Successful advertising generates a lot of attention. Prospective buyers, particularly first time buyers, will be so interested in your home they will simply drop by. No matter how pleasant these unexpected guests may be, politely provide them with your agent’s contact information, rather than discussing your McKinney real estate transaction or giving an impromptu tour. Handling surprise visits yourself may inadvertently hurt future negotiations. Your McKinney Real Estate Specialist Jane Clark has the experience and trained skills necessary to negotiate for any McKinney real estate transaction. Whether you are interested in McKinney Property or land or a simple home in Collin County I can help you buy or sell any McKinney home or handle any McKinney real estate transaction. Bringing buyers and sellers together especially for the first time is my speciality and I strive to make your Mckinney Texas home buying experience a pleasant and hassle free one. With my extensive knowledge, certifications and seasoned training I can price McKinney real estate correctly the first time. I can negotiate for your terms and your price when buying and help you invest in a future you can feel secure about. Put Jane and her team of experienced professionals to work for You! Jane has the finest Sales Tools available in Texas!